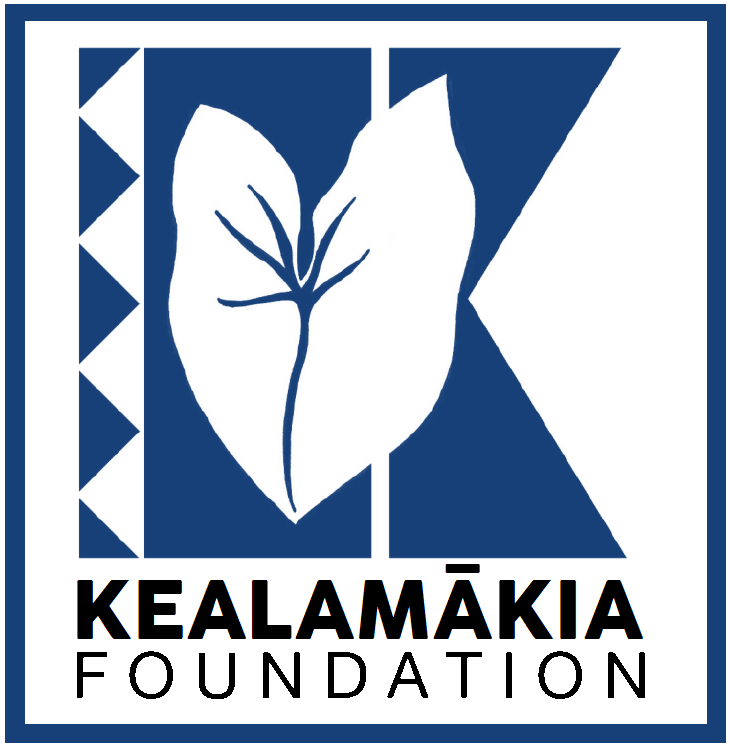 The Kealamakia Foundation is now registered as a charitable organization through AmazonSmile. Amazon will donate 0.5% of the price of your eligible purchases to Kealamakia Foundation whenever you shop on AmazonSmile. AmazonSmile is the same as Amazon. Same products, same prices, same service. But, proceeds from sales are donated to charities of all sizes, like our own. HŌNAUNAU, HAWAIʻI – In September, the Kealamākia Foundation made $1,090 worth of contributions to Hoʻokena Elementary School and to Konawaena High School to support ongoing efforts at both campuses. On October 20, 2015, Hoʻokena Elementary School students will go on one of the first schoolwide excursions, and the first to the Aloha Theater, in several years. At Aloha Theater, the local community playhouse in Kāināliu, the Honolulu Theater for Youth will present an original production of Anime Alice and Her Adventures in Wonderland in celebration of the 150th anniversary of Lewis Carroll’s Alice in Wonderland. The adaptation was written by HTY veteran actor Alvin Chan. And, to support efforts for this year’s graduating class at Konawaena High School (Class of 2016), the Foundation donated $290 to the local high school. These funds will go to support commencement ceremonies and other activities related to the Class of 2016. The Foundation would like to thank all of its contributors, especially Pukaʻana Congregational Church (UCC), and Hawaiʻi Community Federal Credit Union for their support of $500 each. The Foundation also thanks Rev. Richard Tardiff and Pamela Vanwechel for their generous donation of $200. Without your help, we couldn’t provide these opportunities. Mahalo! Mahalo! Mahalo! On January 5, 2015, the Walmart Foundation notified the CEO by email that the Foundation’s $500 grant request for its initiative to create school gardens in our local schools had been approved. The grant itself was donated by the management of our local Kailua-Kona store. On behalf of the Board of Trustees of the Kealamākia Foundation, I would like to extend to all our friends and supporters in Hawaiʻi and throughout the world our warmest best wishes for a bright, happy and prosperous New Year! 2014 was the start of something new for us at Kealamākia, and we continue to be in transition as we work to strengthen our organization to begin serving the public full time. We thank all of you for you support of our efforts and we look forward to all the wonderful things that the new year will bring! God bless you and your families! Hauʻoli Makahiki Hou! On behalf of the honorable Trustees of the Kealamākia Foundation, I would like to extend to you all our prayers and warm wishes for a very Merry Christmas. We cannot express how truly grateful we are for the gift of your friendship and support throughout this past year – and, we look forward to seeing the wonderful things that come in the New Year! May God bless each and every single one of you – have a Happy, Happy Holidays! On behalf of the Board of Trustees of the Kealamākia Foundation, I would like to send to all of you our prayers and wishes for a Happy Thanksgiving! We’d also like to extend our sincere mahalo for all the support that has been given to us over these many years – in particular, since our transition to a public foundation in April. We thank you for you aloha. We are proud to serve this community and look forward to what lies ahead in the future. HOʻOKENA – The Kealamākia Foundation has contributed $500 to Hoʻokena Elementary School to help cover transportation costs for field trips which will be taken by the 4th and 5th grade classes. These students, in Mr. Hokoana’s and Ms. Morgenstein’s classes, will be going on four excursions throughout the 2014-15 school year including attending GEMS (for girls) and Kaloko-Honokōhau National Historical Park (for boys), a cultural service project in Keʻei, and the BioBlitz (for robotics) in Hilo. The Hoʻokele expresses his mahalo to Mr. Hokoana and Ms. Morgenstein for taking the initiative to provide academic enrichment to their students; and, encourages other teachers to follow their example. On September 10, 2015, President Kīwaha submitted an OFFICIAL LETTER TO DLNR (Department of Land and natural Resources) Director Suzanne Case, and Deputy Director Kekoa Kaluhiwa, in opposition to the continued and unlawful arrests at Maunakea of peaceful Aloha ʻĀina activists who are standing in opposition to the further desecration of the mauna through the construction of the Thirty Meter Telescope. The letter also expresses the opposition of the Foundation to the enforcement of “emergency” rules in violation of Article XII of the Hawaiʻi State Constitution. The Foundation, while being unable to provide assistance to those arrested and other affected individuals, continues to advocate that the State of Hawaiʻi and DLNR end the enforcement of, and abolish, the “emergency” rules now in place atop Maunakea; and, to refrain from seeking criminal charges against those who were exercising their Constitutionally-protected rights. Copies of the letter were forwarded to state Senator Josh Green, and state Representatives Nicole Lowen and Richard Creagan. To view a copy of the letter, click the link above. HŌNAUNAU, HAWAIʻI – On April 8, 2015, the Rev. Wryen K. C. Kīwaha, President and CEO of the Kealamākia Foundation, submitted an OFFICIAL LETTER TO THE PRIME MINISTER of Canada, the Right Honorable Stephen J. Harper, in opposition to the unlawful $1.4 billion construction of the Thirty Meter Telescope at Maunakea. Currently the government of Canada, headed by Prime Minister Harper, is formulating a budget for consideration by the House of Commons; which as of today, according to the PM’s office, will include significant funding for the Thirty Meter Telescope. The President’s letter includes references to the commitment of the Canadian government for the preservation of Canada’s beauty and natural resources, as well as its commitment to the peoples of the First Nations, as an understanding he hopes will guide the PM towards reconsidering Canada’s involvement. The letter to the Prime Minister was drafted yesterday and sent this morning. It is truly disappointing, however, that two hours ago, the Prime Minister announced that the budget of Her Majesty’s Government will include funding for the Thirty Meter Telescope. I am, however, optimistic that the letter will be received by the Prime Minister before the House of Commons meets to decide on the budget. Because of the question of the continuity of the Hawaiian Kingdom and the prolonged and illegal occupation of a sovereign state by the United States government, the construction of the TMT is illegal and a violation of international law. As such, Canada now becomes a party to these violations through its support of the TMT. The involvement of the Foundation should not be construed as being political. Instead, it is because of our commitment to education – in particular, Hawaiian culture, language, and history – that the Foundation is taking these small steps to support the protest of the unlawful construction of the TMT. Preserving Maunakea and other significant sites throughout the Hawaiian Islands for future generations is a priority for our Foundation. A copy of the letter is provided in the link above. UPDATE: The President has submitted a letter to the office of Mayor William P. Kenoi; but, has ordered that the contents of the letter be filed and sealed until further notice. A copy will therefore not be provided for public viewing. HŌNAUNAU, HAWAIʻI – In the recent media debacle concerning the Hawaiʻi County Fire Department, the President of the Kealamākia Foundation wrote and sent an official Letter to the Fire Commission of Hawaiʻi County seeking truthful answers about the letter of no-confidence against current Fire Chief Darren J. Rosario; as well as the suspension of battalion chiefs Steve Loyola and Ty Medeiros of West Hawaiʻi as a result. News about the letter and the subsequent suspension and investigation broke to the public in a report by Hawaiʻi News Now. There was also some concern as to whether or not it would be appropriate for the Foundation to submit an official letter in regards to an internal matter within the Fire Department – a government agency. In weighing the concerns, the President proceeded with the drafting of the letter. To read the full letter, click on the link provided about. The letter is in PDF format.